Location: From the intersection of Hwy 45 and County Hwy K in Conover, continue west on County Hwy K to County Hwy S. Turn north on County Hwy S and continue to Baker Lake Road. Turn west on Baker Lake Road and continue approximately 7 miles to White Squaw Lake Road. Turn north on White Squaw Lake Road and continue about .5 miles to the first of several bermed access points. One of the most remote hunter/hiking trails in the Vilas County Forest, this system of trails passes through stands of aspen, oak and northern hardwoods. Terrain is rolling hills. Roads accessing these trails are town roads and are plowed during the winter. 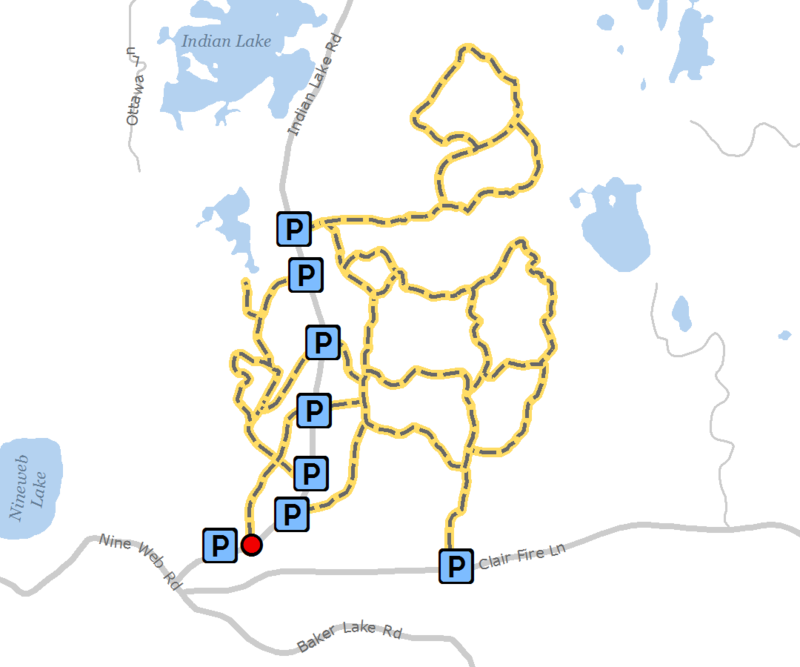 A part of this system, east of White Squaw Lake Road, also serves as a snowmobile trail.